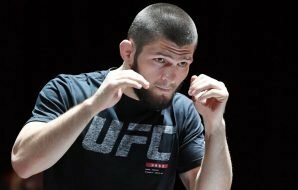 Hey all, I welcome you to KhabibMcGregor.com – a fan blog about the Russian UFC Lightweight champion Khabib Nurmagomedov and a rivalry between him and “The Notorious” Conor McGregor. The first fight Khabib vs McGregor at UFC 229 is in the books, and the event, which was billed by many as the biggest and most anticipated UFC show of all time, delivered a substantial amount of action and an even greater amount of controversy. The main card featured tremendous, back-and-forth contests, including a riveting featured fight between Derrick Lewis and Alexander Volkov, as well as a fun “Fight of the Night” and a co-main event between Anthony Pettis and Tony Ferguson. By the way, UFC sold 2.4 million Pay-Per-View subscriptions for Khabib vs McGregor which is a new record for the UFC organization. But, as fans and pundits expected, the main event generated the most buzz of all UFC 229’s matches. 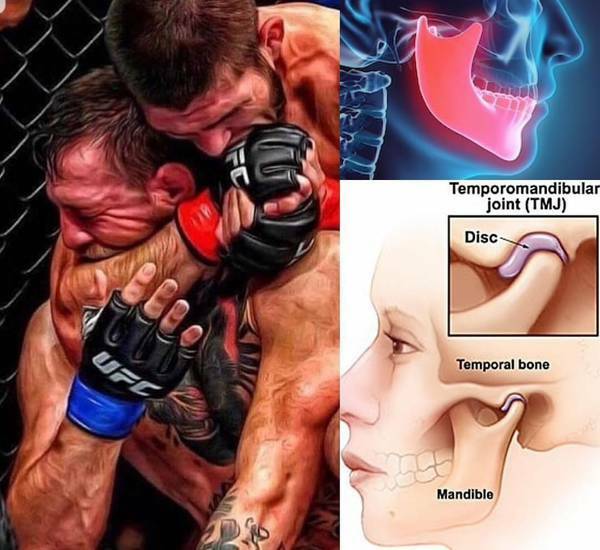 Former two-division UFC champion Conor McGregor locked horns with UFC Lightweight Champion and undefeated mixed martial artist from Russia Khabib Nurmagomedov, and after more than three rounds of hard-fought combat, Nurmagomedov was able to draw a tap from McGregor as a result of a neck crank. The bad blood these men share spilled over once the contest concluded, as Nurmagomedov jumped into the crowd and attacked McGregor’s teammate Dillon Danis, and people from Khabib’s corner went after McGregor. Pandemonium then ensued, both in the T-Mobile Arena and across the Las Vegas Strip, as McGregor and Nurmagomedov fans fought one another. In short, UFC 229 and McGregor-Nurmagomedov fight was anything but typical. Let’s take a look at everything there is to know about the rivalry between the two, including its build-up, announcement, the way it played out, and the future of the involved athletes. When Did the Rivalry Between Nurmagomedov and McGregor Start? 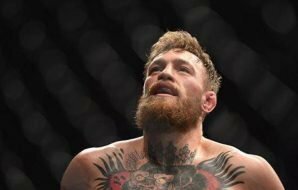 The feud between Conor McGregor and Khabib Nurmagomedov seems to have started when Nurmagomedov had a rather aggressive conversation with McGregor’s training partner, SBG Ireland mainstay, and UFC featherweight Artem Lobov. Both Lobov and Nurmagomedov are Russian, and in the mentioned conversation, which was captured on film, Khabib and his teammates can be seen confronting a lone Lobov about his association with McGregor, as well as the implications of this association on Lobov’s home country. Khabib went as far to as place his hand on the back of Artem’s head. McGregor was reportedly outraged when he learned of the incident. This outrage was confirmed by McGregor’s April, 5 assault on a bus that was transporting UFC 223 fighters on a media day, including Khabib. 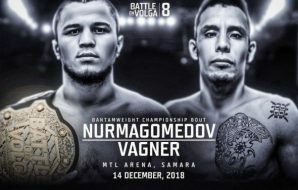 Nurmagomedov was set to fight Tony Ferguson, who withdrew due to injury, and after that, featherweight champion Max Holloway, who withdrew due to weight-cut complications; he ultimately battled TUF runner-up Al Iaquinta in a last-minute main event. 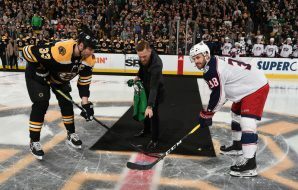 Conor and his crew descended upon the UFC buses inside the Barclays Center; McGregor threw a two-wheeler into Khabib’s bus’s window, and the shattered glass hit UFC 223 competitors Ray Borg and Michael Chiesa (the latter of whom suffered lacerations). The fallout included McGregor getting arrested, one of his teammates getting arrested, a pair of trials, and a couple of lawsuits. Plus, Artem Lobov was pulled from his UFC 223 fight, and McGregor’s long-awaited UFC return was delayed. UFC 229’s build-up should be easier to understand now that these preceding events have been detailed. Sure, McGregor always sells his fights by antagonizing his opponents and entertaining fans, but him going after Khabib’s father on Instagram, referring to complex and (for US fans) unknown geopolitical rivalries, and more, all to get under Khabib’s skin, took things to the next level. Moreover, these points should help to make clear the in-your-face, high-intensity atmosphere of UFC 229’s promotional events. There was quite a bit on the line for McGregor and Nurmagomedov in terms of their careers, but more than this, there was quite a bit on the line in terms of pride. The tension was palpable as McGregor made his way to the cage – first, as he was forced to vacate the Lightweight title. Nurmagomedov followed, and once the combatants were inside the octagon, the night’s energy reached a fever pitch. The opening round was a good one for McGregor even though Khabib clearly won it. As he said he would, Conor came out tall and aggressive, looking to uncork one of his powerful punches on Khabib. Nurmagomedov hunted for takedowns from the get-go, and he was able to complete one and establish top control through the majority of the stanza. Importantly – and this is why the round was a good one for McGregor – Khabib wasn’t nearly as successful as he has been in previous fights. Conor’s grappling defense against Khabib in Round 1 was very impressive overall. The second round was totally dominated by Khabib Nurmagomedov. 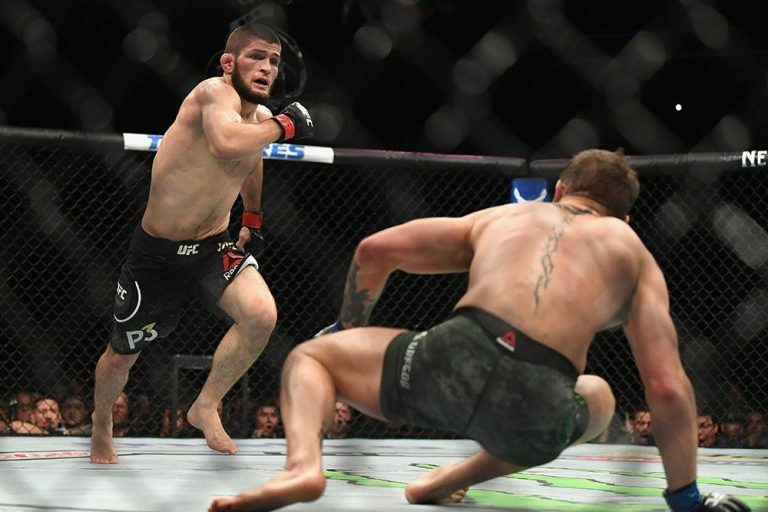 The most significant moment of the period came when Khabib floored Conor with an overhand right punch and almost knock him down. I don’t think we will hear again that Khabib’s stand-up and striking aren’t that impressive. McGregor was rightfully focused on defending takedowns, and “The Eagle” took advantage of openings that resulted from this focus by landing a thunderous blow. McGregor wasn’t hurt badly – Khabib didn’t come close to finishing but the shot did allow Nurmagomedov to complete a takedown after. He maintained top position and landed several damaging strikes until the final minute or so when McGregor managed to stand up. Khabib expended quite a bit of energy in the second round, and because of this and a desire to show that he could strike with Conor, the majority of the third round was contested on the feet. Of course, McGregor’s takedown defense was solid in this round, too. In Conor’s area of specialty, Khabib simply couldn’t impose his will; the challenger stole the round. It is the only round Conor McGregor won and the only round that Khabib lost in 11 UFC fights. Unbelievable! The fight drew to a screeching halt in the fourth stanza. McGregor began to tire and was taken down. Khabib achieved mount and eventually took the back, before locking-up a neck crank (it wasn’t a choke) which forced McGregor to tap. Conor had a chance to escape if he used his left hand instead of right but it looked like he started panicking and simply quit. The fight officially ended at 3:03 of the 4th round. A brawl and plenty of controversies followed the tap and will be discussed next. In terms of fight analysis, however, McGregor performed pretty darn well, with all things considered. “The Notorious had his first fight in the octagon since UFC 205 vs Eddie Alvarez in 2016, and you can tell his timing and footwork was off. His brash personality and highlight reel stoke expectations that he wins impressively, so he won’t receive much credit for his work at UFC 229. But his takedown defense, grappling, cardio, and distance looked good against Nurmagomedov, and the improvements to his ground game were apparent. Of course, Khabib is an undefeated monster of a mixed martial artist, and he successfully negated the striking and overall game of one of the best fighters in the sport today. Big things are on the way for the Russian champ. He has silenced critics and gained a huge fan base with this impressive win over Conor McGregor. The moments following UFC 229 were marked by pure insanity, the likes of which hadn’t previously been seen in the UFC. An enraged Nurmagomedov jumped over the fence and into the crowd. He assaulted BJJ star, McGregor training partner, and Bellator fighter Dillon Danis. Following Khabib’s lead was his teammate and also UFC featherweight fighter, Zubaira Tukhugov, who ran up to and attacked McGregor. Security officials struggled for minutes to gain control of the situation, and McGregor was escorted backstage. Boos and projectiles began to rain down on Nurmagomedov as he was led away from the cage, having been told by UFC President Dana White that it wasn’t possible to put the belt around his waist, given the craziness and relative danger of the situation. For the first time in the UFC’s twenty-five-year history, Bruce Buffer read the official decision with neither challenger nor champion in the cage. Khabib’s father and coach Abdulmanap Nurmagomedov later said that he was dissatisfied with Khabib’s actions. McGregor decided not to press charges, so Khabib and his teammates were not placed under arrest. 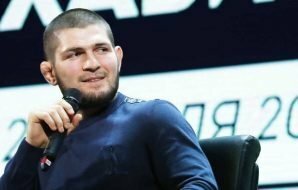 However, Nurmagomedov’s planned departure from the US to Dagestan was delayed, his fight purse was withheld, and the Nevada State Athletic Commission promised to conduct a comprehensive review of the incident; it’s likely that Khabib will face disciplinary action, including a big fine and likely suspension. It’s been also reported that Zubaira Tukhugov will be fired from the UFC as a result of being involved in the brawl and attacking McGregor. 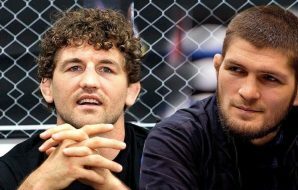 Few days after, Nurmagomedov gave an ultimatum to the UFC that he will leave the organization if they fire his teammate. Tukhugov was scheduled to fight Artem Lobov at UFC Fight Night 138 on 27 October, in what would be his (Tukhugov’s) first UFC fight in two years, as he was suspended after testing positive for an anabolic steroid. Despite this, Tukhugov seemed rather proud of his actions, as his post-fight social media posts demonstrated. Reactions to the brawl varied. UFC President Dana White was “disappointed” (at least it’s what he publicly announced) but UFC 229 winner Derrick Lewis was entertained. Similarly, some fans seemed to enjoy the excitement, while others thought it a spectacle that put a damper on the night. We know one thing for sure: should the UFC, Khabib, and McGregor want to set-up a rematch, they have enough footage and promotion to do so tomorrow. Khabib voiced some disappointment with his post-fight actions but also said that he didn’t see too big of a difference between his behavior and McGregor’s when the latter attacked the UFC 223 bus. Of course, as some fans were quick to point out, Conor went to trial and was sentenced for the episode. 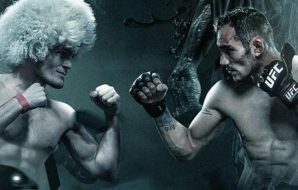 What’s Next for Nurmagomedov and McGregor? Naturally, many fans are ready to find out what’s next for both Khabib and McGregor. There’re a couple distinct possibilities as to what is on the horizon. Most of these possibilities depend on how quickly Nurmagomedov and McGregor’s disciplinary action is issued by the NSAC, as well as what this disciplinary action is comprised of. The most obvious next bout for these men is a rematch. The risk here is McGregor losing again, however, and being left without some of his star power as a result. The reward is a very lucrative pay-per-view opportunity for the fighters and the UFC. On the other hand, Conor could be booked to rematch Nate Diaz. Diaz is currently scheduled to compete against Dustin Poirier at UFC 230 but their fight was canceled because of Dustin’s injury. Another option is McGregor’s rematch vs Poirier. 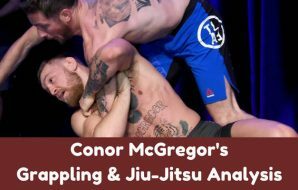 Conor and Dustin fought back in 2014, at featherweight, and McGregor won via TKO. With that said, this bout seems unlikely, as the Diaz rubber match and Khabib rematch would likely sell better. Superfights between McGregor and welterweight champion Tyron Woodley, former welterweight champion Georges St. Pierre, or former middleweight champion Anderson Silva have been discussed, but they seem unlikely as well, as it’s hard to book a superfight when one of the involved athletes is coming off a loss. Speaking of Khabib, the rematch with McGregor is the most lucrative option. 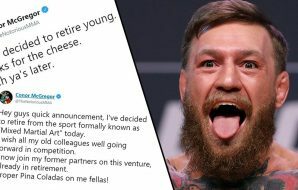 He had an excellent fight with McGregor, and in the process, he made more money than he has in all twenty-six of his prior fights combined. Now that he’s in command, he can negotiate even better terms for the second contest. Alternatively, Khabib can defend his belt against Tony Ferguson. Ferguson is the former interim lightweight champion, and he once again had a fantastic, “Fight of the Night” victory against former Lightweight champion Anthony Pettis in the co-main event. 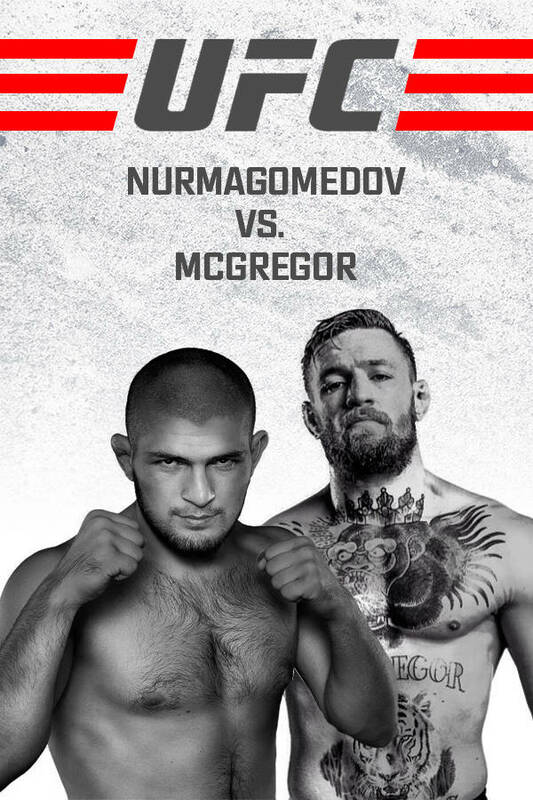 This is the logical next match, but two things make the chances of it being booked seem remote: all the money there is to be made from McGregor Nurmagomedov 2, and the fact that, for whatever reason, a Khabib-Ferguson bout seems impossible to make happen. The athletes have been set to fight four or five times over the better part of a decade, but both have been forced to withdraw from each scheduled date. If there’s such a thing as an MMA curse, it seems to have made its goal preventing Nurmagomedov and Ferguson from competing. Despite the fact that UFC 229 is finished and over with, there’re still a lot of unanswered questions. Khabib Nurmagomedov and Conor McGregor promoted the hell out of their first fight. Keep in mind it was on a pretty a short notice and without the World Tour and UFC still sold the record number of PPV subscriptions. 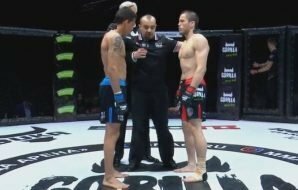 The men battled in the cage and managed to keep fans interested even after the fight ended. Viewers love bad blood, and there’s more of it than ever in the rivalry between McGregor and Nurmagomedov. 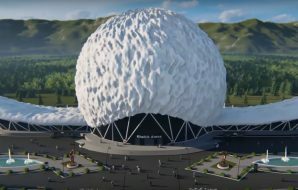 The future looks exciting. The first battle is over but the war goes on.